This is a guest post by the Rev’d Dr Gavin Ashenden, former Chaplain to the Queen. I had taken them for fiction. I knew that many who held to a traditional faith were desperate that they should be proved to be reliable. If they were reliable, they argued, we can stay in the Church of England. So Philip North’s appointment to Sheffield was a litmus test. I had to admit that I was wrong about my first hypothesis when he was elected. But the great advantage of having views that constitute hypotheses is that one can test them and change them. But the more important test was to come – the commitment to mutual flourishing, mutual respect; the promise that inclusion and diversity meant what they said, and were not just closet weapons to lull the traditionalists into wistful trust before expelling them. The North appointment was a serious test for the much vaunted ‘Good Disagreement’ that Archbishop Justin Welby has staked his archiepiscopal strategy on. It has all gone badly wrong. 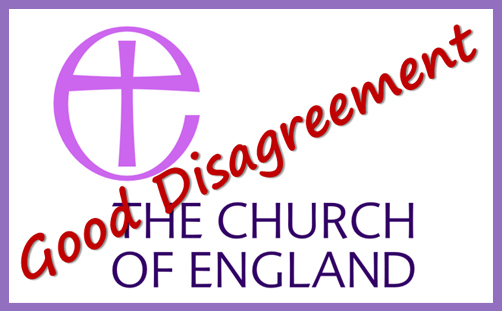 ‘Good Disagreement’ turned out to be a euphemism for ‘bad bullying’. The moment the announcement was made the air was filled with screams of pain from women clergy, their supporters, and other secular feminists, like the local MP. Their aim seemed to manage their own pain by inflicting pain elsewhere. Pain on those who elected him, pain on those who clung to the five principles, and most especially, ad hominem pain on Philip North personally, as a privileged proponent of the patriarchy. And pain in such degree that he would retire, fatally undermined and wounded. Had Philip North been able to withstand this outpouring of bile, his appointment might have been able to slow the progressive project in the CofE for a while. But it would have been at great personal cost. Perhaps we should be grateful in the aftermath of the collapse onto the sand of this a compromise the so-called Five Guiding Principles purported to be, that his suffering has not been prolonged, and we have been given the clarity to see the situation for what it truly is. The political conflict that has ravaged the Church of England for the last 40 years or so looked originally as though it was about the rights of women. When the first steps were taken to modify the sacred orders of the Church, it succeeded because the pressure of feminism had built up such a head of secular steam that no one seemed able to set it in a broader context of the theological struggle it turns out that it was – for the soul of the Church. On the outcome of this struggle would depend the authority of the Bible, the coherence and unity of the Apostolic Church, a Christian rather than secular anthropology of human identity. And even the resurgence of a kind of neo-Arianism. Why neo-Arianism? Because the secular narrative would mean demoting the teaching and witness of Jesus over marriage and sexuality, and preferring instead a secular story. And you can only do that by treating Jesus as a man of his culture, constrained by that culture and impeded by his lack of living on the giddy wise heights of the beginning of the third millennium. In fact the conflict is about so much more than the rights of women. When the question of the ordination of women to the priesthood was put to the Synod of the CofE, so successful was the impetus of feminism that the only response was ‘we can’t think of any theological reasons why not’. But then the Church of England was not doing theology, it was doing politics. And that has been the flaw upon which the weight of the whole building will bring a collapse, now sooner rather than later. We have seen now that the ordination of women to priesthood was not a matter for discernment as was promised. The pragmatic rather than theological claims that were made to legitimise the feminist goal was that it would help the Church grow again. The number of Anglicans has, in fact, plummeted. The claim was made that women would bring a soft pastoral sensitivity that even men full of the Holy Spirit lacked. The experience has been that senior women in the Church are just as capable as men are of intransigently throwing their weight around to get their own way. There are a number of ways of understanding the present assault on the integrity of the Church. But I find the most persuasive to be identifying an exchange of doing spiritual theology for a programme of politicised modification of culture, which is also an exchange of Spirit for power. The Christian gospel promises transformation by a spiritual renewal that touches mind and soul. The impetus for this comes from God, and depends much on prayer. So it has always been easier to look for a political solution to the human condition that depends on political action more than on prayer, and to use power to force people to conform, or to mould society to an improved shape, rather than wait for the more elusive Holy Spirit. And here is the difference between progressives and traditionalists in the Church today. It is about the depth of Christianity that has taken hold. The progressives talk much about equality and fairness, and harness part of the biblical narrative to coat their political project with an outer covering of spirituality. Lots of talk about Jesus (or certain cherry-picked aspects of Jesus) and justice, but little about sin, repentance and transformation. Authentic Christianity avoids the short-termism of the political. It looks for conversion rather than improvement. It looks for a renewal of the mind and the birthing of Christ in the soul, rather than the renewing of social structures to achieve a particular social goal. The poison that has been smuggled into the bio-system of the Church has been relativism. There is discomfort on the objective truth that Christianity tells, that Jesus explained, about sin, conversion, the justice of God meeting the forgiveness of God on the cross, and redemption – being bought for a new life. Without sin and the forgiveness of sins there is no need for a saviour, no need for repentance; just the use and abuse of God, or an emaciated Jesus to validate our personal preferences. Good Disagreement was predicated on the mistaken idea that these two ways of doing Christianity could live with each other. It assumed the relativism of secular culture. It was a profoundly mistaken diagnosis. It was mistaken firstly because it misunderstood the distance which a consumerist ‘justice and equality’-driven Christianity had fallen away from the orthodox faith. And secondly, because it refused to recognise that a spirituality based on political power, rather than repentance and the Holy Spirit, would not rest until it had exercised power to rid itself of the competitive presence and challenge of orthodox theology and values. Behind all the pleasant cosmetic words like inclusion, equality, and diversity lay a ruthless will-to-power that will not brook a different value system. The weeping wounded women of frustrated feminism declared themselves a Philip North free zone. They had set themselves against all he and the historic faith stood for, and even the Anglican Church was not wide enough to hold contain their antipathy and contradiction. Inclusion means exclusion. Diversity means monopoly. The Philip North crisis has shown us what the end game always was. The monopoly of a sub-Christian, neo-Arian, power-driven heterodoxy that was infuriated by Christian orthodoxy. The golden rule for the parasite is not to kill the host, just to weaken it and live off it. The vulnerability of +Philip North proved too tempting a target, and the progressives struck too soon and too hard. It may prove to be that they have fatally wounded their host, the Church of England. Since it has become clear that orthodox Christians will not be allowed the privilege of following their consciences, living out biblical paradigms and challenging the secular culture from within the Church of England, they will either have to adopt a separate orthodox jurisdiction of their own, or leave. The jury is out on which the faithful will choose.